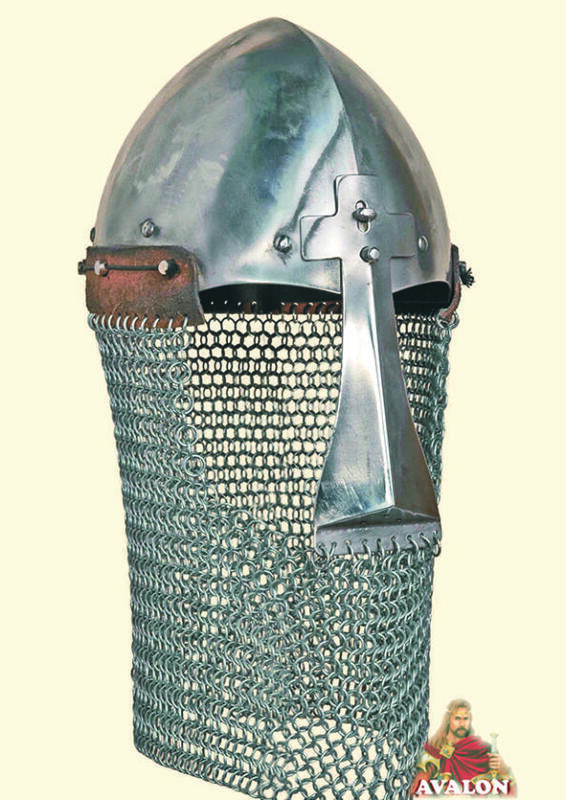 Fully battle-ready reconstruction of a Norman Helmet removable nasal, 11th century. 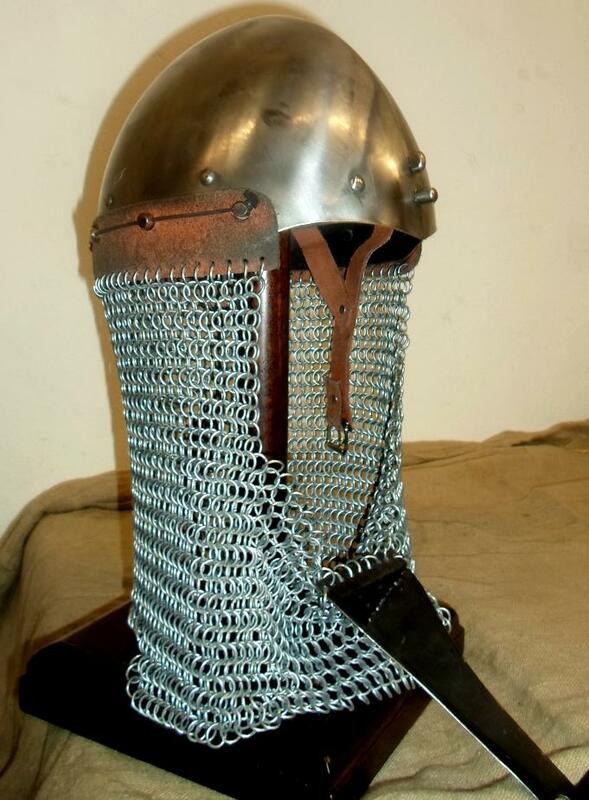 This kind of helmet was very popular with the early-medieval fighters of the north, the Vikings, The Varangians, the Rus and the Normans. 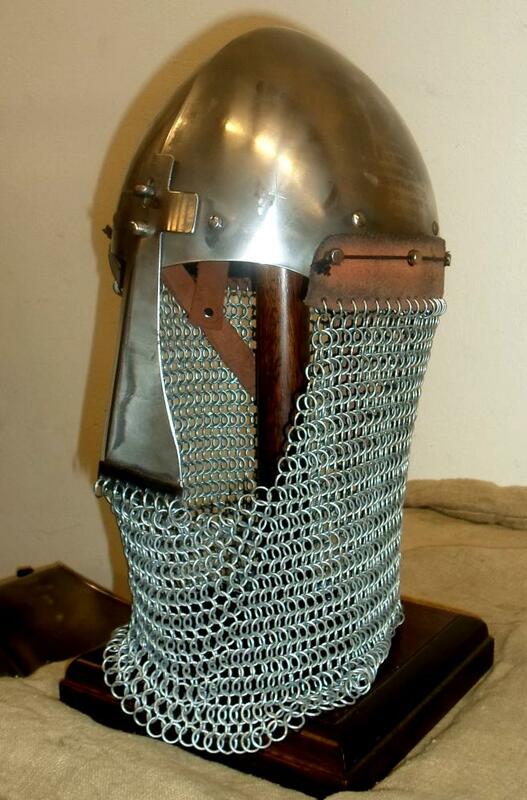 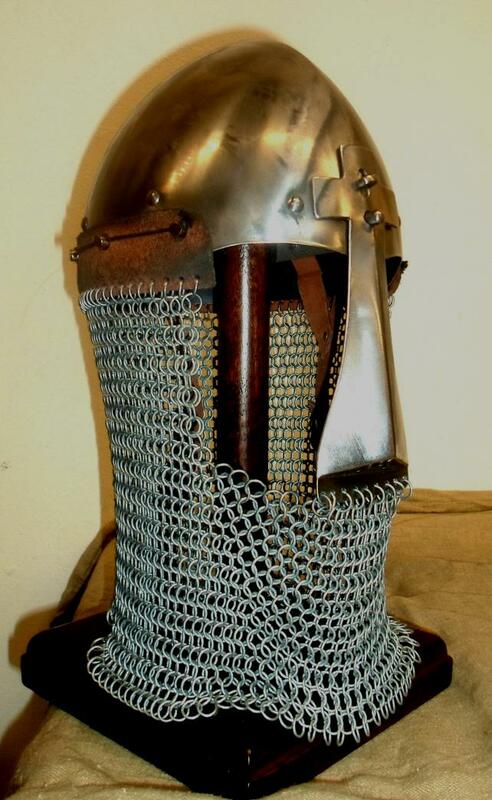 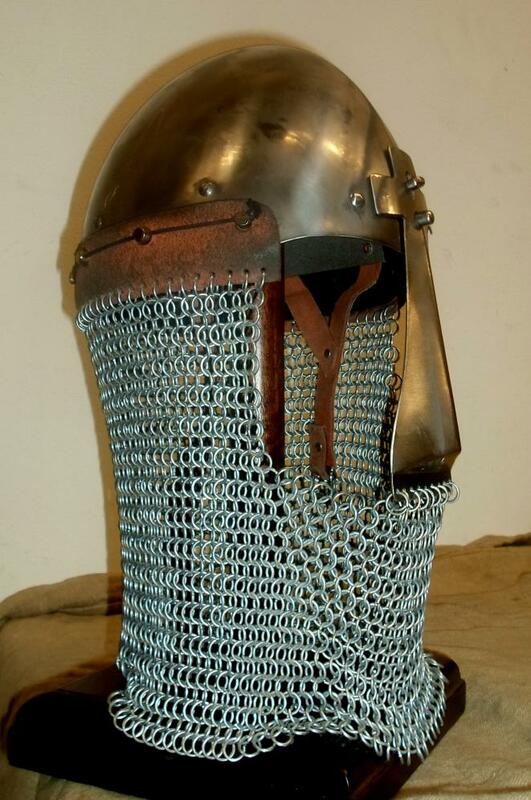 The Norman Helmet has a butted chainmail avantail to protect the lower part of the head and neck and comes with a high quality, adjustable leather liner.